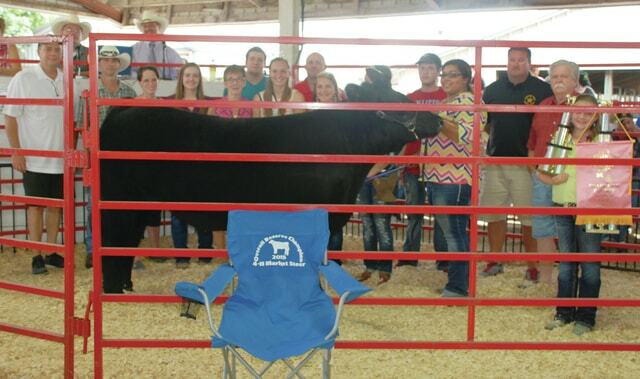 Colby Watson’s 4-H Market Steer (Champion) sold for $4,500 to Maine’s Towing, Tech II, Perpetual Federal Savings Bank and Sheriff Matt Melvin in memory of Davy Channell. 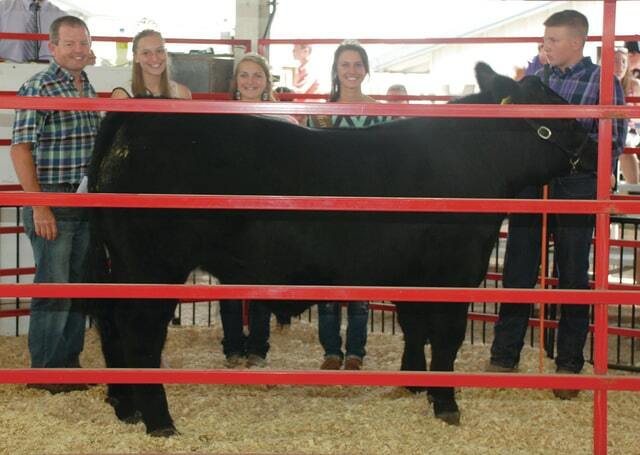 Emma Anway’s 4-H Market Steer (Res. Champ Market Steer and Div. 3 Winner) sold for $3,150 to a syndicate of buyers. 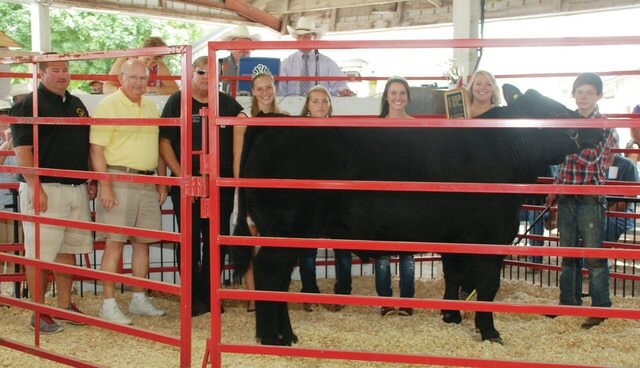 Kylie McWhinney’s 4-H Market Steer (Champion Cattleman’s) sold for $1,000 to Maine’s Towing. Tanner Workman’s Scramble Market Steer (Champion Scramble) sold for $1,200 to Perpetual Federal Savings Bank, Maine’s Towing and Sheriff Matt Melvin. 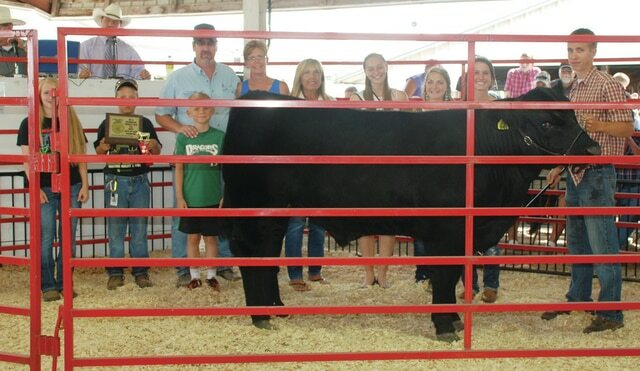 Kylie Detwiler’s 4-H Market Steer (Reserve Champion Cattleman’s) sold for $1,575 to a syndicate of buyers. Luke Reed’s Scramble Market Steer (Res. Scramble and FFA Champ Rate of Gain) sold for $1,000 to Walter and Pat Hill, Smail Trucking, John, Miriam and Weston Helman and Rosewood Machine. Lear Current’s 4-H Market Steer (4-H Champion Rate of Gain) sold for $700 to Jon, Miriam and Weston Helman and Rosewood Machine. George Prosser’s 4-H Market Steer (4-H Reserve Rate of Gain) sold for $925 to a syndicate of buyers. Gus Hoewischer’s Scramble Market Steer (FFA Res. Champ ROG and third Place Scramble) sold for $550 to Paul and Michelle McGuire. 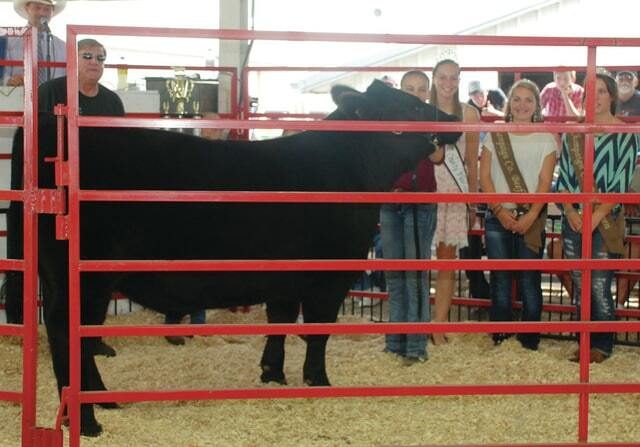 Hadley LeVan’s 4-H Market Steer (Showman of Showman and 4-H Sr. 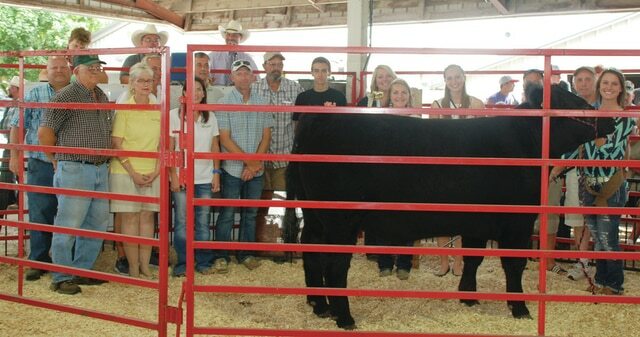 Showman) sold for $1,450 to a syndicate of buyers. https://www.urbanacitizen.com/wp-content/uploads/sites/36/2015/08/web1_Steer-Colby-Watson.jpgColby Watson’s 4-H Market Steer (Champion) sold for $4,500 to Maine’s Towing, Tech II, Perpetual Federal Savings Bank and Sheriff Matt Melvin in memory of Davy Channell. https://www.urbanacitizen.com/wp-content/uploads/sites/36/2015/08/web1_Steer-Anway.jpgEmma Anway’s 4-H Market Steer (Res. Champ Market Steer and Div. 3 Winner) sold for $3,150 to a syndicate of buyers. https://www.urbanacitizen.com/wp-content/uploads/sites/36/2015/08/web1_Steer-Kylie-McWhinney.jpgKylie McWhinney’s 4-H Market Steer (Champion Cattleman’s) sold for $1,000 to Maine’s Towing. 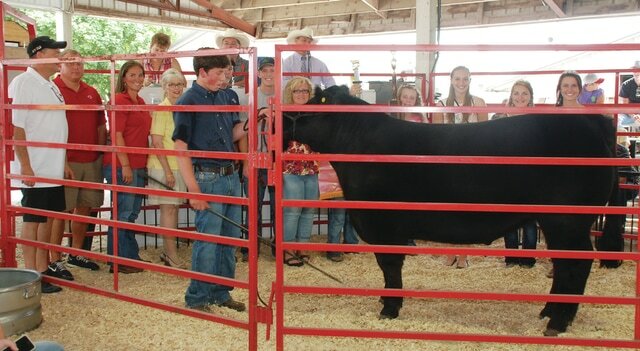 https://www.urbanacitizen.com/wp-content/uploads/sites/36/2015/08/web1_Steer-Tanner-Workman.jpgTanner Workman’s Scramble Market Steer (Champion Scramble) sold for $1,200 to Perpetual Federal Savings Bank, Maine’s Towing and Sheriff Matt Melvin. 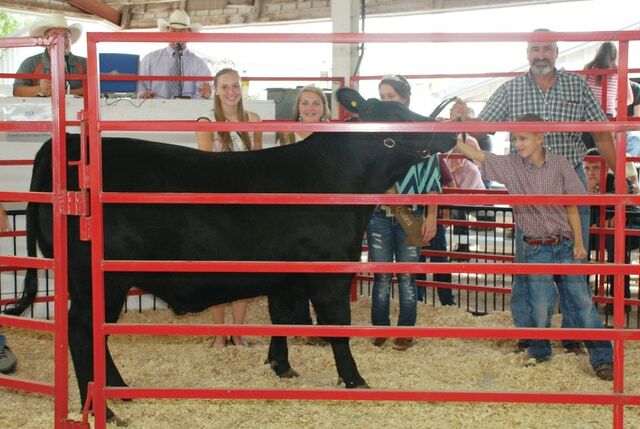 https://www.urbanacitizen.com/wp-content/uploads/sites/36/2015/08/web1_Steer-Kylie-Detwiler.jpgKylie Detwiler’s 4-H Market Steer (Reserve Champion Cattleman’s) sold for $1,575 to a syndicate of buyers. https://www.urbanacitizen.com/wp-content/uploads/sites/36/2015/08/web1_Steer-Luke-Reed.jpgLuke Reed’s Scramble Market Steer (Res. Scramble and FFA Champ Rate of Gain) sold for $1,000 to Walter and Pat Hill, Smail Trucking, John, Miriam and Weston Helman and Rosewood Machine. https://www.urbanacitizen.com/wp-content/uploads/sites/36/2015/08/web1_Steer-Lear-Current.jpgLear Current’s 4-H Market Steer (4-H Champion Rate of Gain) sold for $700 to Jon, Miriam and Weston Helman and Rosewood Machine. https://www.urbanacitizen.com/wp-content/uploads/sites/36/2015/08/web1_Steer-George-Prosser.jpgGeorge Prosser’s 4-H Market Steer (4-H Reserve Rate of Gain) sold for $925 to a syndicate of buyers. https://www.urbanacitizen.com/wp-content/uploads/sites/36/2015/08/web1_Steer-Gus-Hoewischer.jpgGus Hoewischer’s Scramble Market Steer (FFA Res. Champ ROG and third Place Scramble) sold for $550 to Paul and Michelle McGuire. https://www.urbanacitizen.com/wp-content/uploads/sites/36/2015/08/web1_Steer-Hadley-LeVan.jpgHadley LeVan’s 4-H Market Steer (Showman of Showman and 4-H Sr. 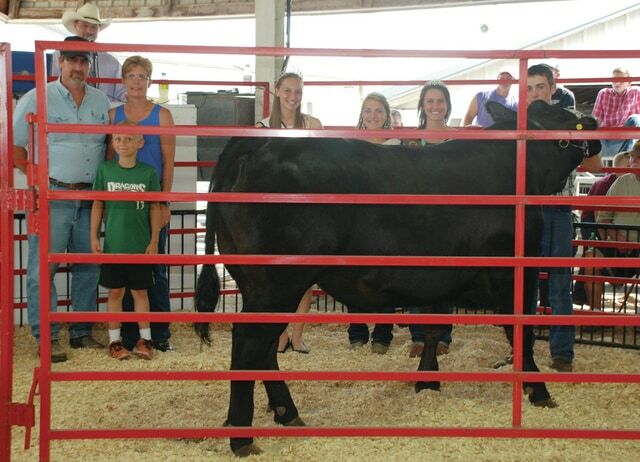 Showman) sold for $1,450 to a syndicate of buyers.